The last thing you should have to worry about during summer vacation is budgeting your money. Check out our 5 reasons to have a Prepaid Card for your summer vacation. 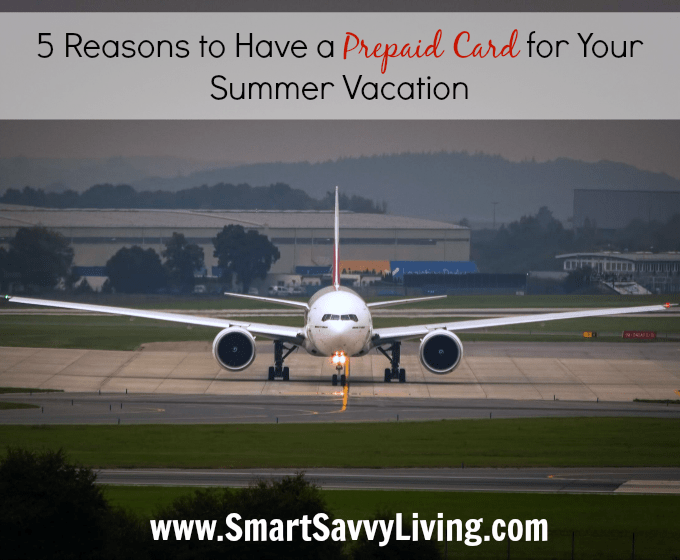 Having a prepaid card has saved us a lot of stress in the past when traveling, so I was happy to write this sponsored post with 5 reasons to have a Prepaid Visa® RushCard for your summer vacation on behalf of the Visa Clear Prepaid program. It’s less than fun to get stranded with a broken down car in another state when you’re on a tight budget, which I, unfortunately, know from experience. Luckily, when that happened to us, I had a prepaid card set aside for emergencies and it allowed us to be able to pay for car repairs. Check out the other reasons to have a Prepaid Card for your summer vacation below. 1. You can use it as a way to save up for your vacation. If you’re like me, it can be really hard to not spend the money you see available in your checking account. Having part of your direct deposits applied to your Prepaid Visa® RushCard puts that money out of sight and mind so you are less likely to spend it. You can also add money to your prepaid card with cash – securely, for a minimal fee – at several retailers across the country. 2. You can vacation stress-free knowing you have funds available in case of emergency. We always have a good chunk of credit card credit available for a hotel, rental car and/or gas because those purchases tend to have a large deposit or hold placed on the card. I then have the prepaid card for food, supplies, repairs, health emergencies and other things that you can typically use cash or debit cards for. 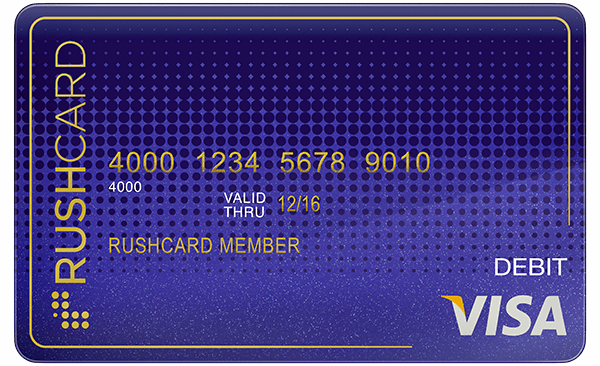 I love having customized things and with the Prepaid Visa® RushCard, you can pick from several different card designs. 3. You’re covered if you lose your card or it gets stolen. Growing up, whenever we went on vacation, my parents always took cash since debit cards weren’t overly mainstream yet. Thinking back on it today, it totally scares me that they would carry around $1000 or more in cash while on vacation because if that cash had been lost or stolen, there’s not much that could have been done about it. However, with a Prepaid Visa® RushCard, you’re covered if your card gets lost or stolen. 4. You can easily limit your spending on certain things. When I’m on vacation, I tend to be a little more lax in my spending whether it’s at a restaurant or on souvenirs. However, that can spell disaster quickly if you’re on a tight budget or want to give your older kids some spending money. With the Prepaid Visa® RushCard you can put a certain amount of funds on the card and not worry about over spending and extra unknown fees. 5. You don’t need a bank account and you can activate your card whenever you want.To get a Prepaid Visa® RushCard, all you have to do is go to the website and apply for one. With the Prepaid Visa® RushCard you can have funds added via direct deposit or with cash at nationwide retailers. As such, you don’t need to have an active bank account when you get a card. Stress less and spend more time enjoying your vacation now that you know these reasons to have a prepaid card for your summer vacation! I like the idea of using a prepaid card to set limits for yourself. I am VERY bad at not worrying about what things cost while on vacation, then sadly coming back to reality when I see my bank balance when we’re back home. I can see how having a prepaid card makes a lot of sense when traveling. I love that you are covered, have funds in case of an emergency, but also that you can set a budget and not overspend… How tempting it can be to buy all sorts of fabulous things when you’re traveling! What great reasons. I love saving and less stress! We do a stashed pre-paid card when we go on trips, just in case something were to happen and we lost our cards. Thankfully we never had to use them on the trip but it was a nice sense of security. I’m not comfortable bringing a ton of cash out on vacation either, so I’d much rather use a prepaid card like this. I also really like the idea of using it to help you save up for a trip! This is a great idea! I’ll have to remember it when we plan our next family vacation. It truly is a great way to save up money too!! Those are fantastic reasons to have a Prepaid Visa. Could I have two – one for each kid – and use them kind of like gift cards? I agree! I always save some from hoiidays or birthdays to set aside for vacation. We had a bad experience with a bank card a few years ago while we were out of town. All the cards were cancelled due to a security breach. We had no access to funds and it was horrible! Now I always try to be prepared. Prepaid cards are great for peace of mind when traveling. Thank you for recommending one! I have a question, do you have to know the balance exactly? I know some cards you do and that would be kinda hard on vacation. Hey Trisha, thanks for stopping by. You don’t need to know the exact balance, but would need to know the general amount since you can only spend what’s on the card. Those are very good reasons to have a prepaid card! Recently, I had fraudulent charges on my credit card, and that makes me concerned about using my debit card so much. A prepaid card might be better while on the road. I’d never considered a prepaid Visa card for vacation. Thanks for giving me the idea. A great way to save too. Those are great reasons for having a prepaid card. It would be a good way for older teens to save up for vacations, too, and have their own spending money, safe and sound. I have always thought about using a prepaid visa card for our vacations. It just seems so much more easier and I could also have peace of mind! That’s a really great idea to do prepaid for a vacation. I never thought to use it for something like that! I am all for stress free! I think I might try this for our next trip! I am definitely like you and if I see money I will probably end up spending it so having some money directly moved over before I have a chance to see it is a great way to save. I always bring prepaid cards on vacation because I’m way too scared of identity theft.